Capping tuition is not the answer. More state funding is. [O]rganizing a citizen’s initiative for 2016 that would cap tuition increases for in-state students at Arizona’s universities and community colleges to no more than the increase in the Consumer Price Index. By capping how much Arizona’s universities and community colleges can raise tuition, we’ll be forcing the legislature to stop balancing the budget on the backs of our students. Really? “We’ll be forcing the legislature to stop balancing the budget on the backs of our students”? Yeah, that’s not going to happen. I find this effort to cap tuition entirely misguided, and it would have unintended consequences if enacted. The problem in Arizona is a Tea-Publican legislature ideologically committed to defunding public education in order to privatize it, in violation of the Arizona Constitution. And do you know how our lawless Tea-Publican Arizona legislature has been able to get away with this? Proposition 108 (1992), the “Two-Thirds for Taxes” Amendment, Arizona Constitution Article 9, Section 22. This can continue in perpetuity unless Arizona voters repeal Prop. 108. 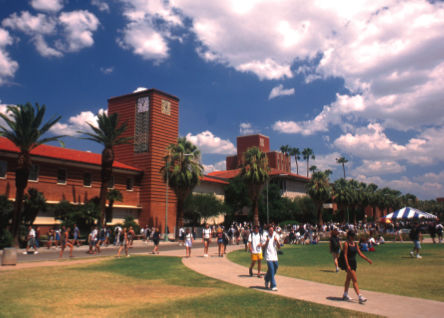 If the proposal to cap tuition were to be enacted without additional state funding for public education, and a Tea-Publican legislature that remains hostile to public education, the unintended consequences would be cutbacks to degree programs, layoffs of university instructors and other personnel, and limited admissions and enrolment — in effect, our lawless Tea-Publican Arizona legislature could shrink the college and university system to the size of ever-decreasing state funding, which could not be offset by tuition increases as it is today. Has Save Our Students really thought about these unintended consequences? UPDATE: “Andy Barr, a political consultant helping to coordinate the campaign, acknowledged a tuition cap alone would be counterproductive, if the universities could not make up for the funding cuts lawmakers have imposed. So the initiative would include some sort of funding mechanism, perhaps a sales tax, that would kick in if lawmakers shorted the schools. That way, Barr said, residents would know exactly who to blame.” Plans for college tuition cap initiative in the works. This is terrible public policy. We need to restore democracy to Arizona with a simply majority vote on tax matters. This would restore to a working majority in the legislature the flexibility it needs to adjust taxes to changing economic circumstances. If Save Our Students wants to restore state funding to public education and the universities, it should place on the ballot a clean repeal of Proposition 108 (1992), the “Two-Thirds for Taxes” Amendment, Arizona Constitution Article 9, Section 22. Do that, and you will have my full support. There is a petition to the arizona legislature to increase money for education that if you support this you should sign. In the publicity pamphlet for Prop 109 back in ’92 proponents sold it by deceptively promising it was an anti-tax measure. It was not. It requires 2/3 majority to raise revenue, not taxes. The lege could raise taxes on 95% of Arizonans to give the top 5% a huge tax break and as long as it was “revenue neutral” it would not require a majority vote. Steve, Research is part of instruction, you cannot train researchers without doing research. Educating to the Master’s degree and PhD levels requires research. In addition research mostly pays for itself. In any case Northern Arizona University is a primarily instruction based institution as it was designed to train education professionals and their budget has been cut just as much as the other universities. And finally Even if you can pick nits to interpret instruction as just being classroom instruction, the fact is the legislature is not providing “nearly free” tuition. 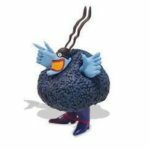 That said I agree with AZBlueMeanie that capping tuition does nothing to get the leg to do their constitutionally required duty without also funding the Universities and public K-12 education. That’s a reasonable explanation, I guess. Although if research usually pays for itself, then it is really a non-issue as far as funding goes. The truth is I, too, think the cuts to education are a mistake. We need to fund it better. The problem I have is providing educators with a bottomless pit of money to squander. Educators have a long and storied history of claiming to NEVER having enough funding, and misusing it when they get more funding. It strikes me that the activites of the Universities make it difficult to apply the requirements of the State Consitution to them. The Constitution requires that instruction be funded as much as possible. However, what the Universities seem to invest more heavily in is research rather than instruction. The Constitution doesn’t address research. Tell me where I am wrong, AZ. According to the above article, University of Arizona was 29 of 50 in R&D expenditures (in 2012). U of A’s total operating budget in 2012 was $463,555,900. The total R&D expenditure was $625,365. Funding sources included $331,578 from the federal government and $19, 915 from state and local governments. Thank goodness for the federal government because its funds contributed (at least in 2012) to U of A’s longtime status as a leader for advances and discoveries in Astronomy and Medical Science. Indeed, these are the two areas where most of the funds were directed. Yay for the discovery of planets! And curing diseases! If anything, looking at these numbers, I’d say they are doing it on the cheap. Instead of wasting our time with tired, unsubstantiated, RW propaganda, how about doing a little research? I stand corrected. Thank you for the information.